It’s 55 big ones today and you have a lot to celebrate: good health, a beautiful wife, a new baby grandson, and rave reviews from the press regarding your TV interview Monday night. Congrats Daddy Sarkozy. Your PR people had a wonderful idea putting you on national TV to answer roundtable questions from 10 Frenchies representing all walks of life . Unfortunately, I wasn’t one of those people chosen – and I even submitted a few questions to your Facebook page. 1. I’ve been paying taxes in France (and the US – but my double taxation beef is for Obama, not you) for years. I speak French, am married to a Frenchie, Small Fry goes to a French school, I buy French wine and eat French cheese and drive a French car. So tell me – when am I going to get the right to vote in France? 2. When do you plan on instituting a dog poop tax? In France, if you own a TV you pay a tax. You buy electronic goods you pay a tax. Well what about dogs? They poop, their owners should be taxed! Dogs do more than their fair share of dirtying Paris streets and it’s rare to catch a Parisian scooping up their dog’s poop. I say - tax ‘em. I’d more than happily pay a poop tax to ensure clean streets in my neighborhood. And I don’t even have a dog! 3. Can you ask your daughter-in-law if she wants to join my playgroup? I promise not pass on to the blog any juicy stories she tells the moms about you. We've heard it all anyway. Moms understand that once kids arrive in the picture, relations with the in-laws (especially French ones) can get complicated. I’m sure your family will be no exception. 4. Can you open stores on Sundays so I can do my shopping just like in the US? It would make the weekend less hectic knowing I didn’t have to rush around getting everything done on Saturdays. 5. Are you jealous that Obama’s military helicopter is bigger than yours? 6. Would you like to come to my house to have a gouter (snack) after school? I can teach you English. Daddy says you speak English like a Spanish cow. 7. Does Carla like to read you a story before you go dodo (to bed)? 8. What’s your favorite bedtime story? Le Petit Nicolas? 9. Do you clean your own shoes or does someone do it for you? 10. You’ve been a grandpère since Jan 13th, can I start calling you Grand-Daddy Sarkozy now? La Mom’s started a new rubrique on the side of her blog called “Expat Eavesdropping” where you, the readers, get to participate! 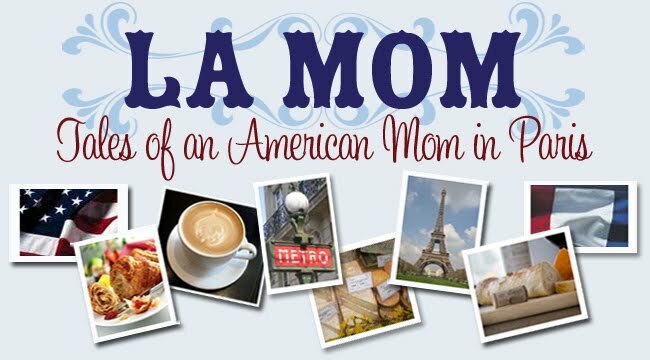 Send La Mom (via email or Twitter) any funny or outrageous comments you've overheard while living in or visiting France. Don’t forget to include your name so you get credit! La Mom has a library of outrageous quotes compiled over the years, overheard on the metro, at museums and cafés. Check out the first one at the top of the page. It's klassy with a K!